Anniversary flowers are an integral component of the gift-giving tradition surrounding this annual celebration of matrimony. 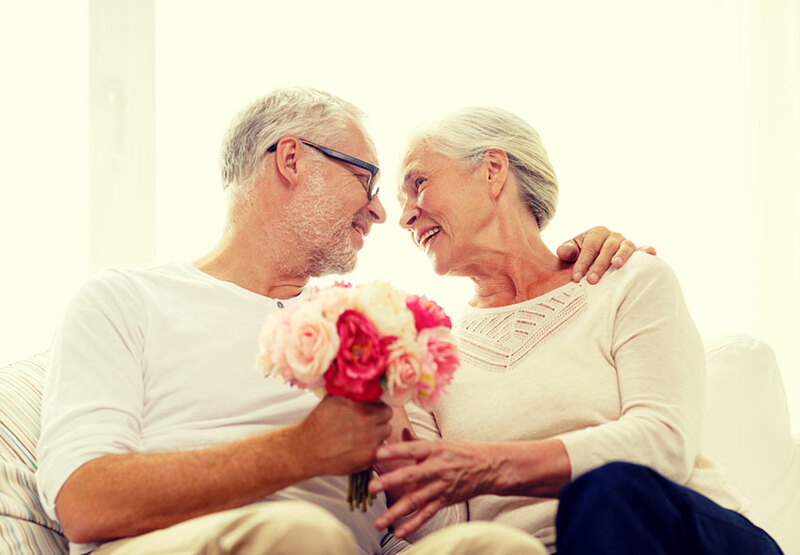 The natural beauty and appeal of anniversary flowers, combined with their standard association with relationships, friendship and courtship in general, make them the perfect compliment to other gifts. Anniversary flowers, much like other gifts, tend to have specific association with milestone years. Much like how a diamond ring is suitable for the 10th anniversary, so too are certain flowers suitable to each year. Although not necessary, it is certainly interesting, enjoyable and advisable to stick with the common anniversary flowers when buying gifts. This shows a touch of class that can really impress. We've put together this list of milestone anniversary flowers to help you come up with unique and suitable gifts for your spouse or partner. By combining these with your year's appropriate gift, you can create some potent and impressive gifts that your significant other will be sure to love. Pansies are popular garden flowers, often in vibrant purples and violets, that, when bunched into bouquets and arrangements, are extremely attractive. These attractive ornamental plants come in many colors and varieties, and are popular for use in home gardens. Fuchsia is the anniversary flower associated with your third year. They are the blossoms of flowering shrubs, and are very decorative. They have a distinct pendulous eardrop shape, and come in many colors, from white through to red, blue and orange. Geraniums are attractive plants with bright and colorful blossoms that are popular in gardens and floral arrangements both. Common daisies are well-known for their bright yellow centers and white petals, and are the traditional flower of the old maiden's game “he loves me, he loves me not.” These white anniversary flowers represent peace, purity and innocence. These hardy plants sport attractive blossoms that make them a great addition to a bouquet. These unusual-yet-attractive flowers had an interesting use employed by the Meskwaki Indians, who would grind the root of this plant into meat and leave it for their enemies. It would often cause death to those who consumed it. These are attractively-blossomed climbing plants. Their blooms make worthy additions to a gift arrangement. Poppies are often associated with remembrance, as they would commonly spring up on battlefields. Nevertheless, the attractive red and white varieties are perfect anniversary flowers. Daffodils, more properly known as narcissus, are spring-flowering bulb plants common in gardens. Their attractive yellow blossoms are well-liked around the world. Roses are the traditional flowers of love and romance, and fitting for this important milestone. A bouquet of fresh-cut red roses is the ultimate floral expression of love, and will be well-received by your partner. Although not true lilies, these anniversary flowers are striking and attractive plants nevertheless. Their large and showy blossoms have made them popular around the world. Irises are showy flowering plants named after the Greek word for rainbow, due to the very wide variety of colors that they are known to come in. These annual climbing plants sport flowers that are often purple, but can be of many other colors as well. Unlike most peas, the seeds of these are poisonous when eaten. These 40th anniversary flowers have blooms so showy and bright that it can often be difficult to photograph them up close. They make a great addition to a gift arrangement. Violets are attractive purple flowers that are widely used in gardens. An interesting feature is that they release a ketone compound called ionone, which desensitizes the receptors of the nose so that you can only briefly smell the flower. When designing a bouquet or arrangement of anniversary flowers, be sure to follow this list for the most common milestones so that you can create something appropriate and classy, and easy to enjoy. If you are celebrating a milestone not shown, your local florist is the best person to ask for a more detailed list. They'll know exactly which anniversary flowers are appropriate for each year.